KPMG is a global network of professional firms providing audit, tax and advisory services. With 200,000 people operating in 154 countries, we have outstanding professionals working together to provide value to local and global organisations. You may know us best for our audit services as we audit many of the largest companies in the world. But you may be surprised by the scale and range of the services we provide to clients. Our scope of services ranges from our Tax services where we help clients transform business models or advise on cross-border tax issues, to our Advisory practice where we help reshape healthcare systems, lead cybersecurity projects and help organisations take advantage of new market opportunities. Wherever you decide to work, you are guaranteed unlimited opportunities to be at the heart of business, positively impact society and fulfil your potential. Committed to excellence, we are proud to be a recognised Employer of Choice in Singapore. KPMG’s Global Strategy Group (Singapore) sits within the Consulting department, and works with various teams within KPMG Advisory to provide advice on market entry and growth strategy, business planning and business transformation. KPMG Tax Services assists organisations with their tax compliance obligations and in enhancing their commercial value through tax planning, and incorporating tax strategies into an overall business strategy. We provide outsourcing services to clients from multiple industries on various work ranging from bookkeeping, payroll and Corporate Secretarial work and other ah-hoc work requested by our client. Phyllis Ng relished adapting to a fast-paced environment as a fresh graduate with fellow colleagues at KPMG to tackle challenges. 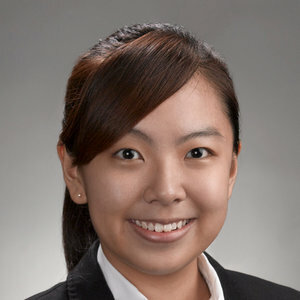 Hui Loon is a Senior Associate, Digital Trust at KPMG Singapore. 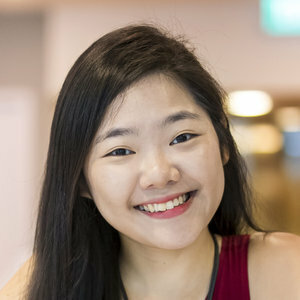 She has a Bachelor of Computing (Computer Science) with Honours (Merit) from the National University of Singapore.